Sunday morning 8 am and it’s off on a ten hour drive up to the remote highlands of Sutherland in the far north-west of Scotland. The destination is the Scourie Hotel, one of the most famous fishing hotels in these islands. I’ve been going up there for 15 years and the excitement never diminishes. This is truly wild fishing in some of the most dramatic, other-wordly scenery one could imagine. The landscape is almost lunar in its majestic bleakness. 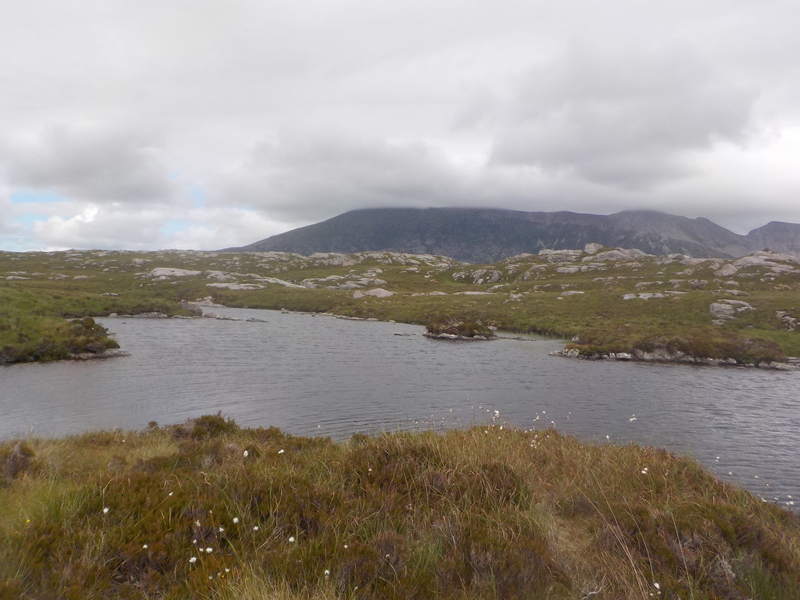 Great hills consisting of knuckly grey rock poking through the windswept heather. Trees are few and far between. The wind can howl and the heavens can open with a vengeance. And there are midges. Superb. 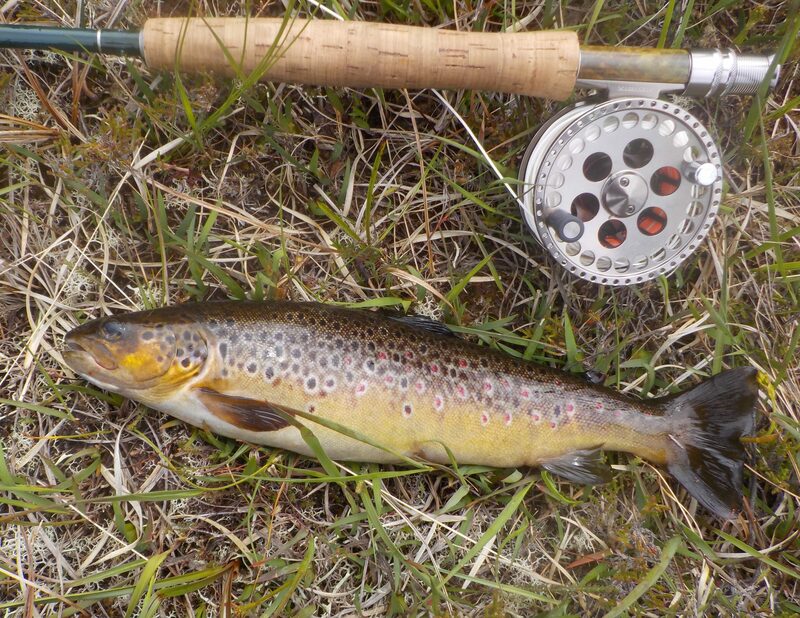 One and a quarter pounds of beautiful wild brown trout. To catch such a good fish so early in the week was a real bonus. My confidence skyrocketed. A great start to the week. I tackled up and got on my hands and knees from about 30 yards away – getting soaking trousers for my efforts. I inched my way up to within 10 yards of the water and still on my knees cast in. I messed about like this for around an hour with no luck. I had seen one decent rise in the water so knew that the fish were there and that I hadn’t spooked them. In the end I had to stand up – agony – and carried on working my way up the loch (it’s only small – about 60 yards long). I did rise a fish right at the end of the water, but that was it. The variety of colour of the fish is remarkable. This one was almost black. Anyhow, last cast of the day and I hit a pounder. Didn’t have my net and it came off as I was trying to bank it. 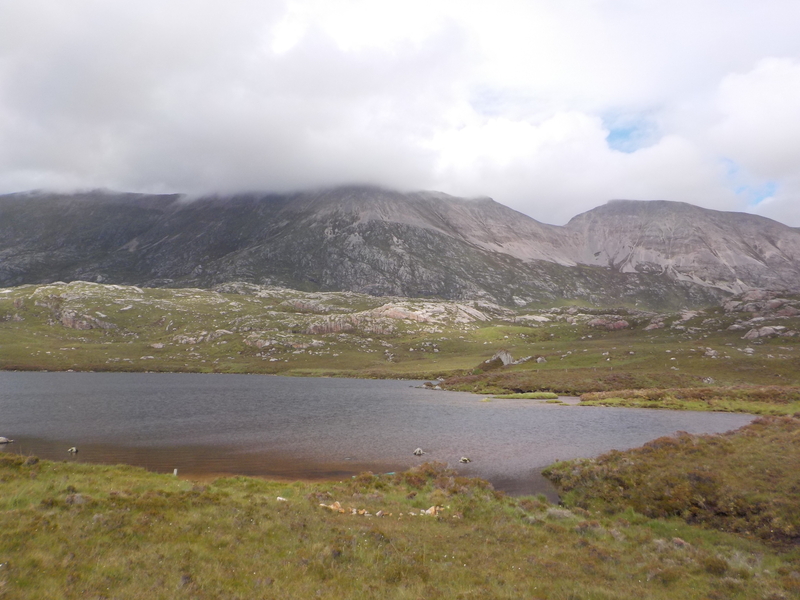 I made my way to a favourite loch which has produced fish of over a pound for me in the past. The wind was perpetually changing direction which was a nuisance. 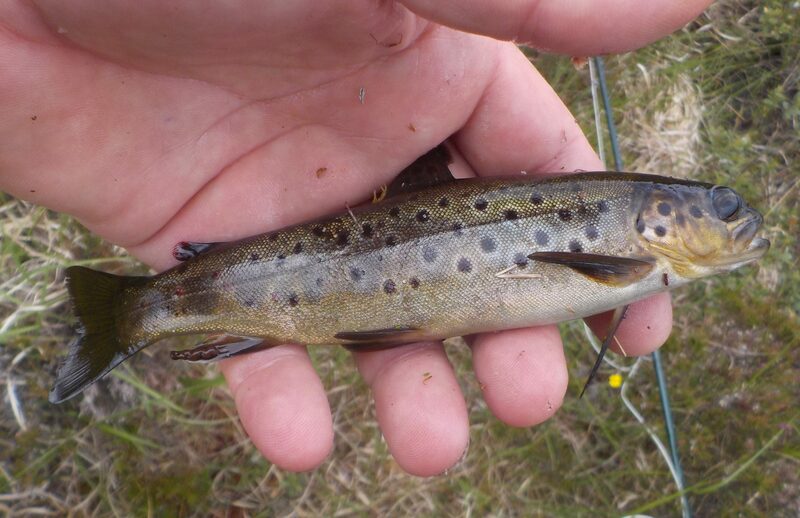 I fished the loch hard for nearly two hours had four fish, all small. Moved on to next loch, and second cast in some dark, shallow water and bang! Ten fish for the day, three big enough for the pot. Magic. 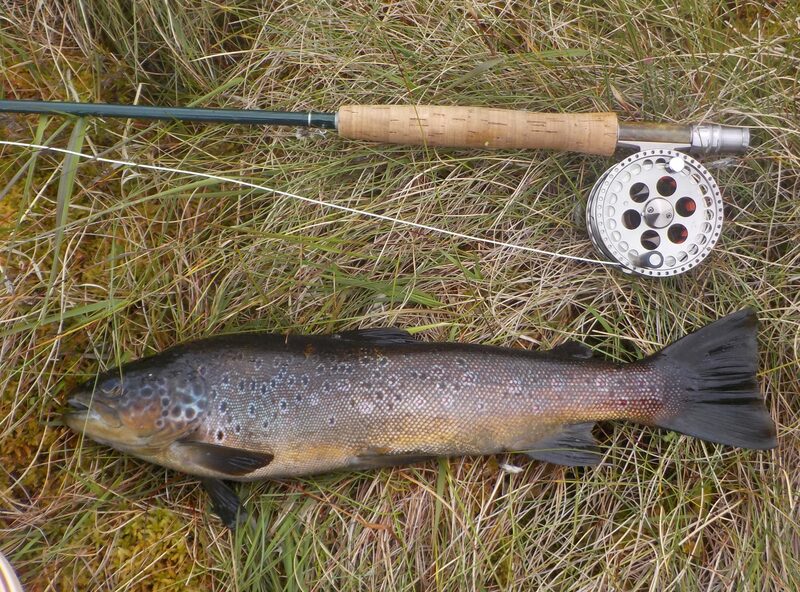 Last day and I bagged Mid Chain, a beat with many small lochs high in the hills and containing very good fish. Other guests in the hotel had been up earlier in the week and tipped me off that the splendidly named Quaky Banks lochan had shown some promising activity. 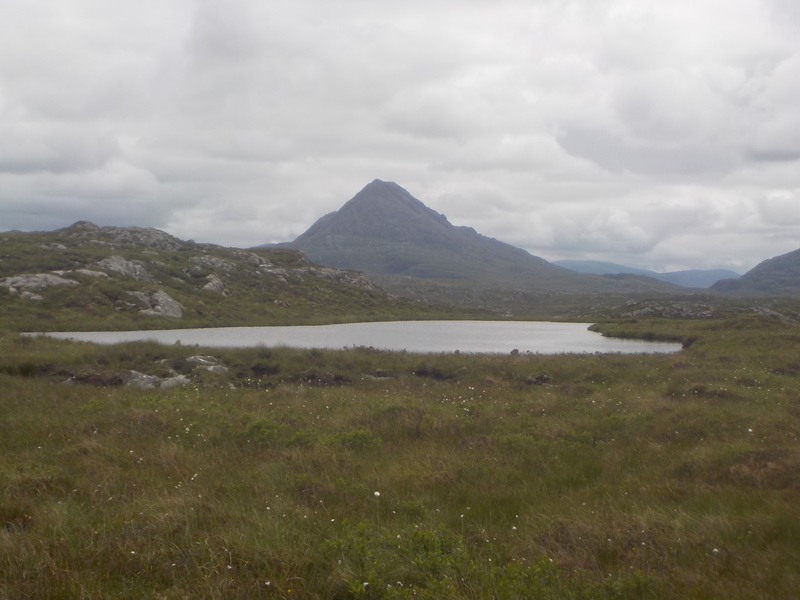 This loch looks similar to McKays in that it is flat and low with no steep banks. The bankside is highly squelchy, hence the loch’s name. Once again I got down on my hands and knees from well out and began crawling to within casting distance. Nothing was rising and water was seeping into my wellies. The wind was getting ferocious, but it was behind me at least. From a kneeling position I managed to get the fly onto the water, with about 15 yards of line trailing on the bank. I tickled the mayfly in, pleased with the wake it was producing. Nothing on that cast so I had another and then a third. 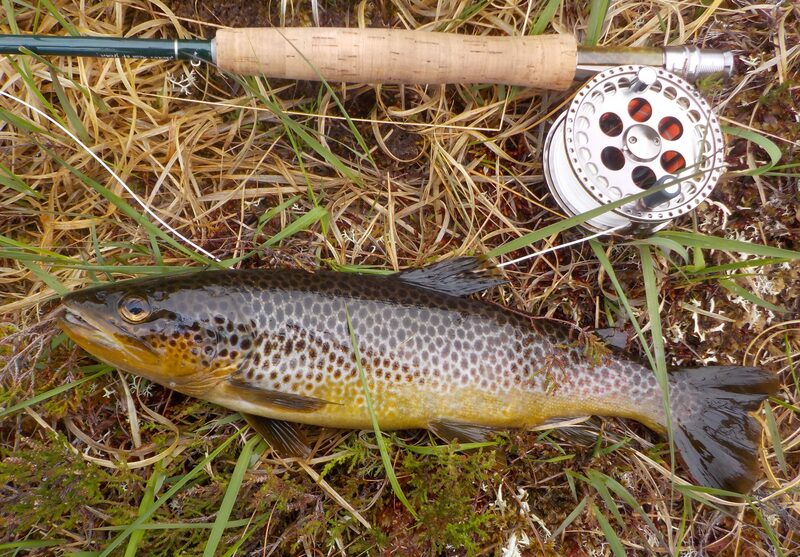 Suddenly as the fly was about three feet from the bank a large black arc broke the surface and my line went tight. I stood up and put some serious tension on the line. I wasn’t going to let this one go. Plus I had brought my net. The fish bored deep but made no really determined runs. I tried to stay calm and managed to get the loose coils of line onto the reel. After much straining eventually I could feel that I was winning the battle and got the odd flash of golden belly as the fish twisted and struggled in the water. I unclipped my net, drew the fish towards the bank and scooped it up. 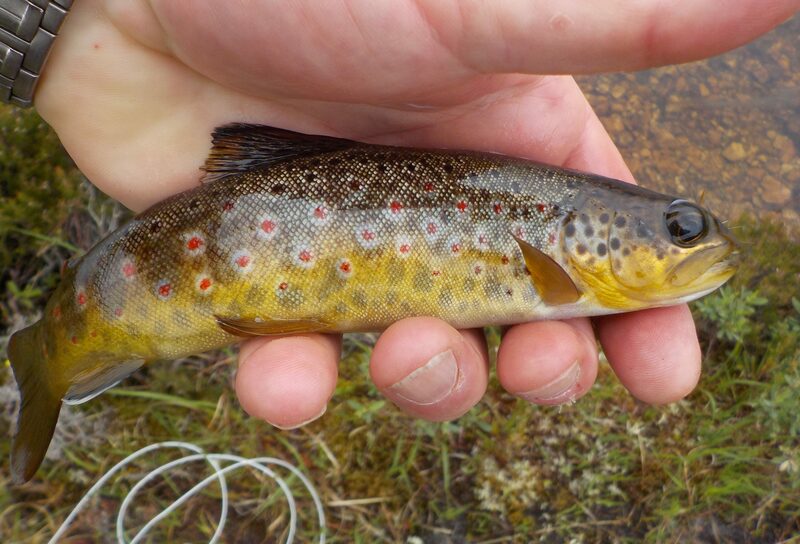 It was a belter – look at that tail! Turned out to weigh 2lb 3oz. 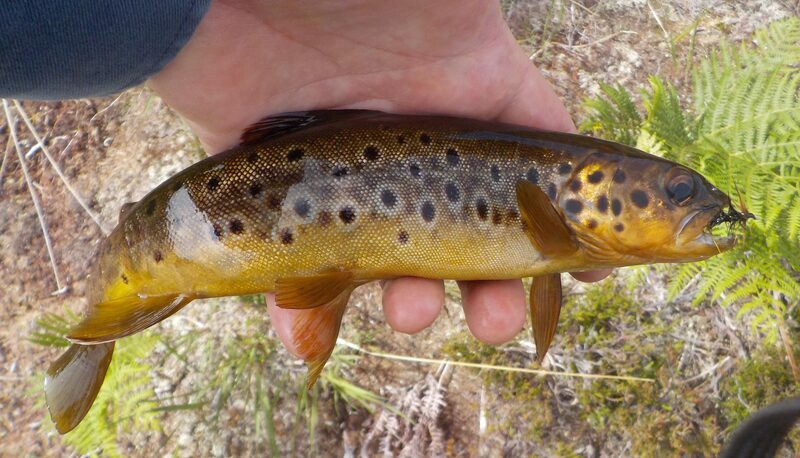 Not huge by some people’s standards but it broke my Scourie record and I think it is a corker. That was it for the day, and indeed for the week. A 4 am start the following morning brought me home after a really memorable few days in the hills. Simon – another fantastic blog! Felt like I was up there catching them with you and it’s easy to see why you keep going back. I’m reading this first thing on a Monday morning and you’ve helped start my week of in great style, thank you! That was a great read. I’m new to your blog but am enjoying it thoroughly. You have a very witty writing style and don’t take your fishing too seriously. Great read, have been talking to my fishing buddies about doing Scourie next year. One of them went religiously 30 years ago with his dad…. Thanks Gary. My advice is: Go! It is truly magical. Book as early as you can if you’re planning to use the Scourie Hotel: it fills up pretty quickly with the regulars who go the same week year in year out. Great read, having been up there myself last year. 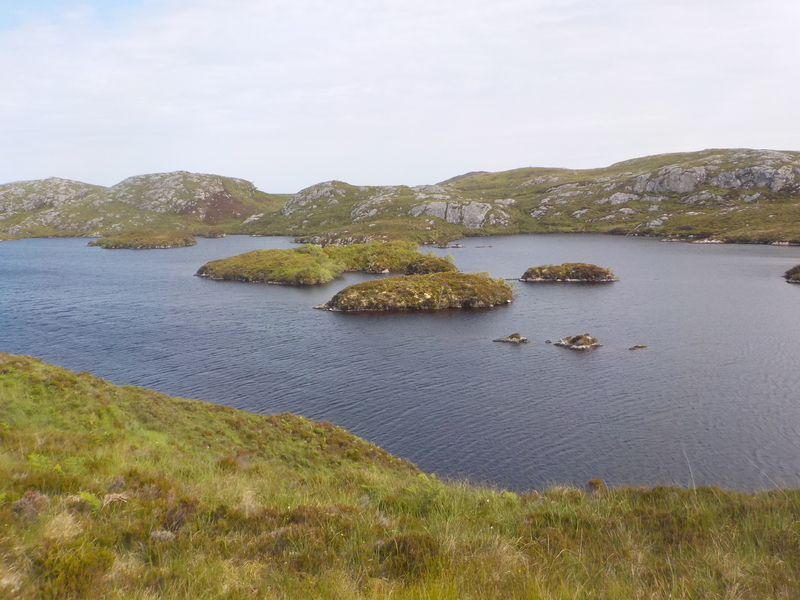 Have you tried the other lochs under Scourie Angling Club supervision, with permits from the Filling Station? Thanks Duncan. Were you at the hotel and how did you get on? 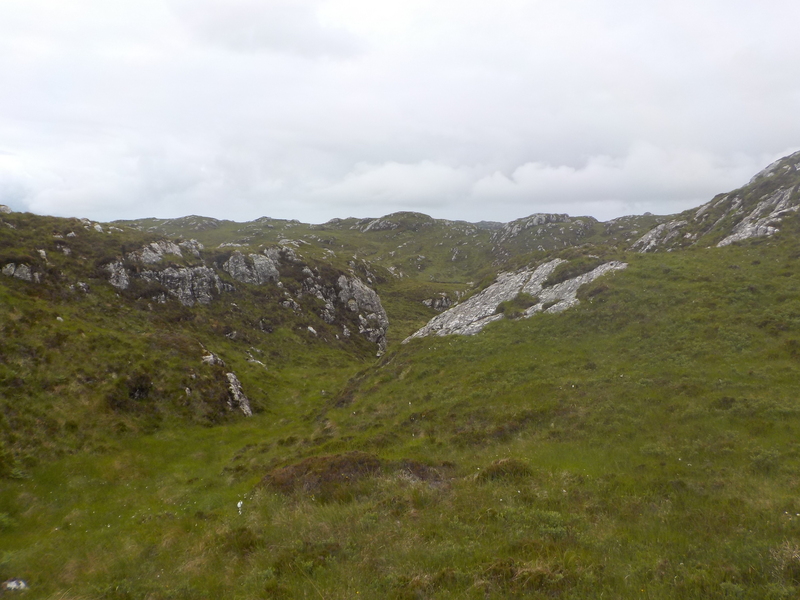 I have toyed with the idea of having a crack at some of the Scourie Club lochs but have never got round to it. I know some of the other hotel guests do and have had good fish out of them. But last year on the hotel beats was my best so far and I missed a couple of good fish; I’m back up there in mid-June so will concentrate my efforts on the ones that got away. After 15 years of going up there I feel I am just starting to suss things out. Watch this space…!